Editors Note: There is a photo available with this Press Release. Telehouse, the leading provider of global data centres, and managed ICT services, hosted six key journalists and analysts on December 2nd for a tour of the company's new West facility, which opens in Q1 2010. Journalists from top business computing titles including Incisive Media's Computing and BusinessGreen.com, Silicon and eWeek Europe were joined by Datacentre Management and analyst houses The 451 Group and Freeform Dynamics; for an exclusive preview of Telehouse West. Telehouse's Technical Services Director, Bob Harris, met with the media attendees to discuss a range of topics including the extensive planning of the facility, the challenges of building a data centre space in close proximity to both existing and planned housing, and how Telehouse West will incorporate renewable energy to meet legislation requirements. Also debated were the other sustainable solutions considered and the reasons why Telehouse chose technology that captures waste heat for re-use in local homes and businesses; the provision of 'localised data centre environments' for each of the five tenant floors through the use of individual power/cooling supply; plus the building of a 132K primary sub-station on site, due to start in January that will draw 40MW of power for Telehouse West to provide even greater levels of redundancy protection. When open in Q1 next year, Telehouse West will support businesses both nationally and internationally in their day-to-day operations. The facility will overcome power shortages in the capital by using four redundant HV power systems on separate grids for maximum redundancy and reliability levels of 99.999%. Commenting on the waste heat system, one suitably impressed attendee said: "What you are doing here could help companies save millions." 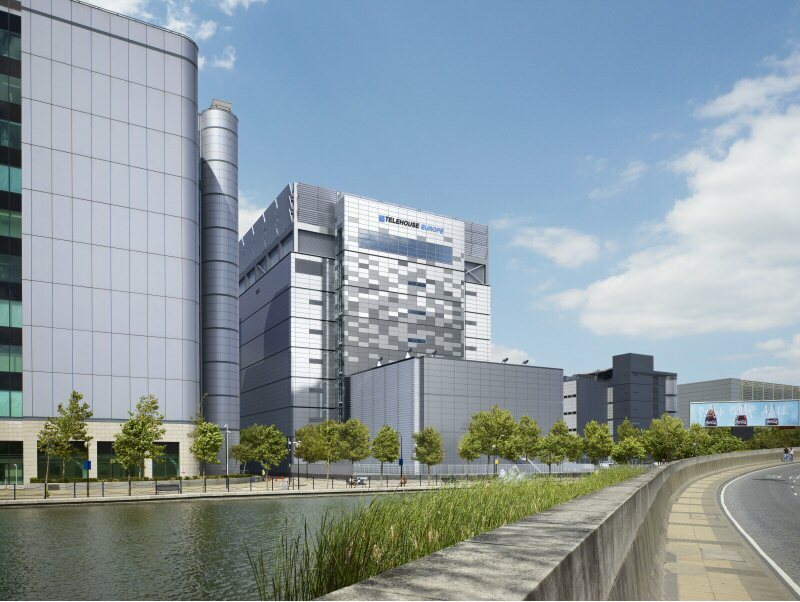 In an article for eWeek Europe, Sophie Curtis reported: "A ground-breaking new green data centre is being built in East London that promises to tackle the capacity crunch currently threatening the capital, and also benefit the nearby residents, whose houses will be heated by the surplus energy generated from the servers. 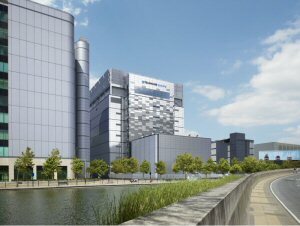 The nine-storey building, known as Telehouse West, will offer organisations 19,000 square metres of space." Speaking of the day, Dionne Aiken, Marketing Manager at Telehouse said: "We have been open in the design, planning and construction of Telehouse West from the outset. In doing so, we have generated great interest in the market, particularly amongst industry experts. We therefore invited a select few to an exclusive onsite tour to see firsthand our state-of-the-art data centre in its final stages of construction. The attendees were highly impressed by the scale of the facility and its operations, moreover by the delivery of such an ambitious project which is still on schedule for completion in Q1 2010." If you would like to meet with a Telehouse representative please contact: marketing@uk.telehouse.net or visit the Telehouse West online portal. Telehouse offers data centre facilities and connectivity, providing a secure and resilient platform for mission critical IT systems. Established in 1988, Telehouse became Europe's first purpose-built neutral colocation provider. Today, the company is at the heart of the Internet and telecommunications infrastructure, serving over 1,000 major customers worldwide, from small start-ups to multinationals across a wide range of industries. It is a subsidiary of Japanese corporation KDDI, a Global 300 company and is able to offer a global network covering Europe, America and Asia/Pacific.